Kate played for the Aptos Keyboard series on January 13, 2019. 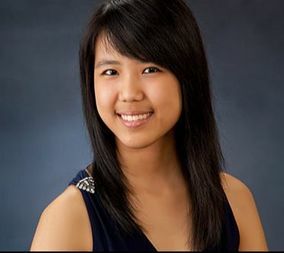 ​Kate Liu began her piano studies at age four and since, her incredible talent has taken her to the very top of most sought after young pianists in the world today. Kate Liu (born May 23,1994 in Singapore) is a Singaporean American classical pianist. At age six Kate was admitted to the Yamaha Music School’s Gifted Music Program and at age 14 she performed with Lang Lang. On October 20, 2015, at age 21, she won the third prize (Bronze Medal) and the Polish Radio Award for the best performance of the mazurka in the 17th International Fryderyk Chopin Piano Competition in Warsaw, Poland, certainly one of the most challenging, prestigious competitions in the world. Kate has won numerous awards including First Prize at the New York and the Asia-Pacific International Chopin Competitions. Kate has performed in Poland, Japan, Korea and the USA. Currently she studies at the Juilliard Institute of Music.